I used the Aeropress to make a "shot" of concentrated coffee and then added a bit of water and cream. Delicious cup of Joe! Just whatever the French roast was at one of my two local coffeehouses. Bugisu is grown in the Mount Elgon region near Lake Victoria where it is cultivated with an organic and fair trade certification. The large presence of so many earthy flavors, including a malty complexity and a luscious syrupy body, especially impress us. The thick sweetness in the aroma carries over into the flavor, conjuring up images of bucolic meadows in the mouth. Bugisu's body is somewhat heavy, but the overall effect is still invigorating. This is not a brew that on first taste one would put aside for its overwhelming intensity because of its transformative qualities. As the up cools a bit the most unusual cherry liquor note pronounces itself. Bugisu is a very sweet cup with lingering butterscotch hints. Overall we rate excellent for its fantastic cherry taste. Hawaiian Kona coffee beans from eBay seller rojokona, ground in a Braun grinder, and brewed in a Krups combination coffee/espresso drip machine. 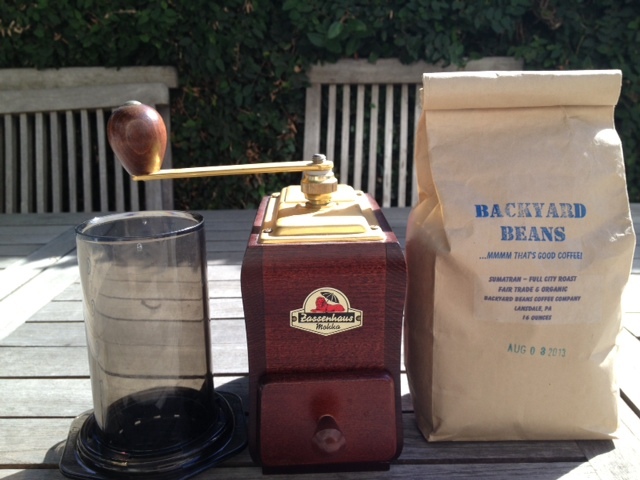 When these beans are gone, I may try some Jamaican Blue Mountain beans. (10-06-2013, 08:32 AM)Agravic Wrote: Great idea, Phil! The Bug when running right can be one of the most surprising and pleasing cups of coffee. Tried to get this on last post. The bug is one of the most forgiving coffees for a new roaster. 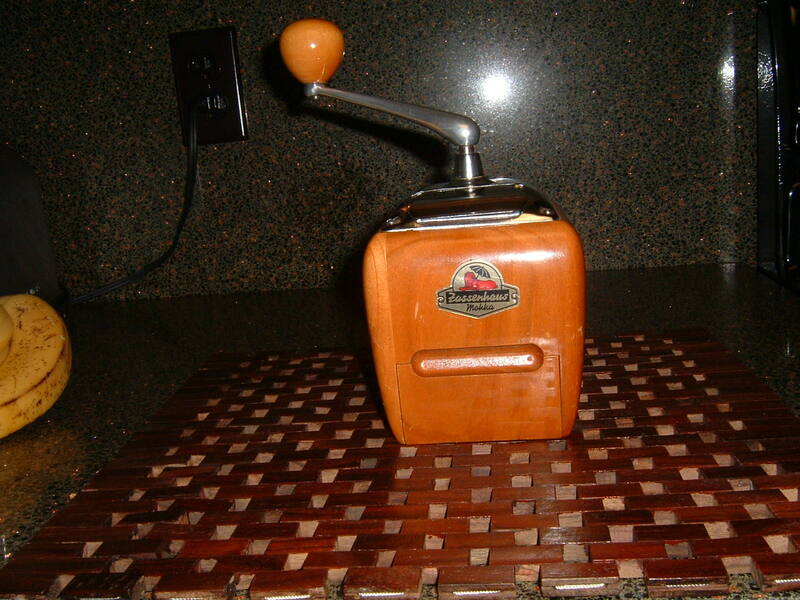 It can take an awful lot of abuse during roasting and still deliver a good cup of coffee. However, it is really seldom or ever in the greatest catagory. Excellent coffee for blends and one of my personal favorites. For me this morning was a Sumatra Manderling brewed in a Technivorm. My taste runs toward Indonesions. They tend to be a bit earthy and filled with low tones. For me, perfect, for my morning coffee. You coffee lovers enjoy your cups. I love the smell of coffee. Kopi Luwak should be avoided at all costs.First of all the farmers use Robusta beans to start with. Robusta is a very poor quality coffee. Then they force feed these beens to caged Civet cats. The cats are caged and force fed similar to Geese that are used to harvest Froi Gras. It is a cruel practice and should be made illegal. Furthermore, with Robusta in you really do get s--t coffee out. The coffee has gained snob appeal and has little merit on it's own. I think this thread needs pictures. My cup of coffee is long gone but...here is what I used. Whole cream & water added to perfection. Ah I'm among caffeine junkies...my kind of crowd. Beautiful tools! Today I just stopped in to La Madeline for breakfast and had their French roast. 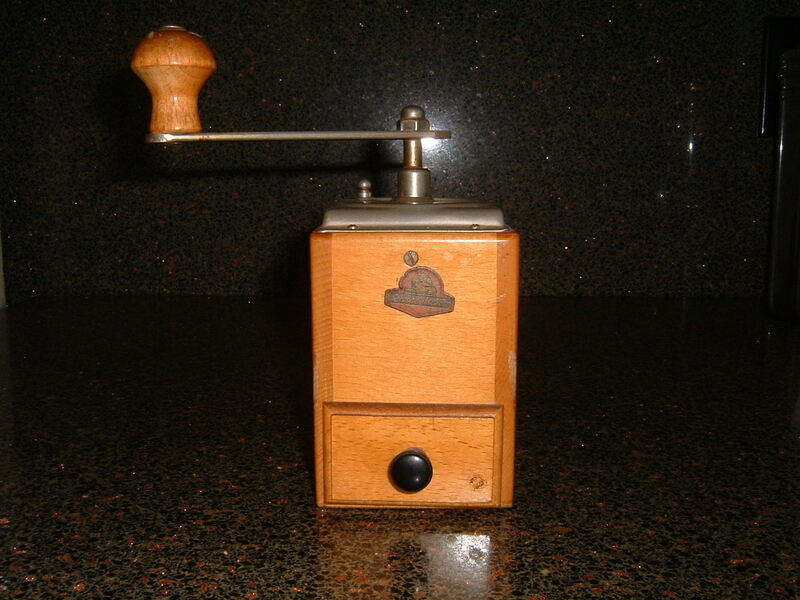 I use a Maestro Virtuoso grinder and locally roasted beans I pick up down the street. Whatever I haven't tried is what I usually buy. Can't recall the flavor of the month. I was in a rush today. I just had a cup of Starbucks Verona.